As a foster parent, many of us tend to join the journey to help children. Before getting licensed many parents tend to dream about spending holidays with foster kiddo or celebrating the child’s birthday. We think about all the fun traditions and ways we can give the child special moments. One significant person and relationship we do not consider pre-foster care is our relationship with the birth parent during the foster care journey. Usually we begin to really try to hash the relationship out after we are already in the deep in the middle of the journey. It’s too late to prepare our minds and emotions when we are in the thick of the journey. Even though it is obvious, it is significant enough to state here that the foster child and birth parent relationship is extremely important to maintain if at all possible. Thus, it should be important for, us, the foster parents to approach this relationship in the best manner possible. It could be simple for a foster parent to get a “moral license” from the fostering situation – feeling as though they are superior for caring for a child when the birth parent cannot. However, as foster or adoptive parents, we must remember that WE, ourselves, are only a few bad decisions away from being in their situation. We should NEVER look upon parents with superiority but with a strong humility that soberingly realizes we could easily be where they are at in a few days…. You are there to help the FAMILY not the child. It might be very easy to get excited about our own agenda for helping foster children or simply welcoming a child into our home that we can forget that the goal for ALL foster children first and foremost is to return the child back home. Never forget that you are quite possibly seeing your foster kiddo’s parent at their worst. Many of us have moments that we are not proud of but they are not made public to various strangers and agency workers. This is quite frankly embarrassing and can cause a huge hit to one’s self-esteem to the point where you fight to feel that you are worthy of anything. Possibly the way some birth parents hope to find reclaimed worth is by making the foster parent appear to be horrible so they seem better. It’s a normal response that anyone would unconsciously make when we feel like we are cornered – we FIGHT for survival. However, among all of these feelings while we are expecting the worst, we should still approach any contact with a birth parent hoping for the best outcome. When you don’t see eye to eye with a birth parent (or maybe even your agency), you need to remember who you are and not focus on what people are saying about you. As foster parents, we may tend to get caught up in the performance of our care for the children in our care. However, we must remember that our performance doesn’t make us who we are. If you get caught in this mindset, you WILL take a things personally and let things affect you when people begin to criticize your parenting skills. 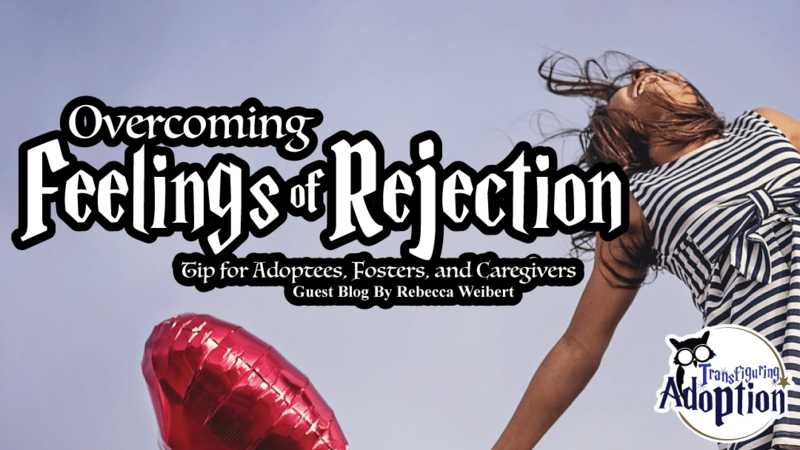 Throughout the foster journey one thing that commonly frustrates foster parents is the feeling that they are not being included with all the information of a case while attempting to help a child through the whole situation. We must entertain the idea that the birth parent also must be equally frustrated with the same system. 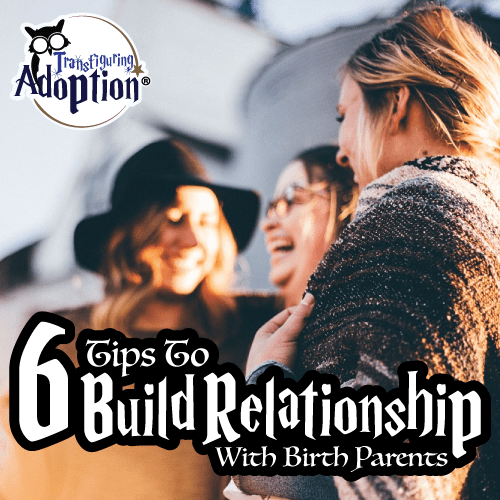 Providing a birth parent with as much information as possible can (with time) alleviate fears of the birth parent and help to eventually get both of you onto the same “team.” What should you share with the birth parent? First step, first haircut, loose teeth, graduations, a good grade on a test, first day of school, first time driving a car, and so on. Is their child having trouble making friends? trouble in math? scared at night? It can be a good motivator and comforting to know that you’re not forgotten and missed by a loved one.Be sure to utilize services such as Facebook, E-mail, and Google Voice to easily help you keep the lines of communication open. All of these services allow to create accounts that are not your primary services with all of your personal information attached to them. Also, be sure to consult with your foster agency about the rules your state as about using social media and sharing various information or photos. Every foster and adoptive parent should have a group of caregivers which they talk and/or meet with at regular intervals. There is something relaxing and therapeutic about talking about your life issues with other people that are on a similar life journey. Other foster/adoptive parents will simply be able to understand your situation better and will be able to listen better. The foster journey is difficult and you will need people to help you get back in the game when the waters of life get choppy. Click the image below for the full-size version. They do everything in their power to reach the goals the agency has given them in order to be reunited with their children. They come to all scheduled visits and court dates. They work really hard and show a great deal of care towards their children. Some birth parents work their parenting plans and always show up but seem to not be able to meet the agencie’s demands. They may feel helpless, as if the agency keeps dangling their children as a carrot out in front of them, but they cannot ever do enough, and though they care endlessly for their children and desire them to be back at home, they may eventually give up. Some birth parents, due to addiction or other reasons, do not show much interest in parenting. They do not show up to visits or court dates. They do not work toward their case goals. There is a very small group of birth parents who appear to have a different attitude. These parents fight hard to retain their parental rights, but they seem not to care about how their children are cared for but solely about winning the case. 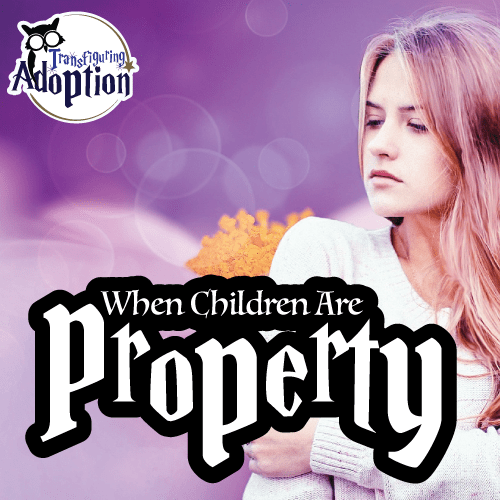 They seem to view the child as property and simply appear to want their “property” back, but they do not act in the child’s best interest or meet the child’s needs. All parents whose children are removed are being faced with such an invasive and stressful situation, which many people have difficulty understanding. These responses are all valid and have reasons, but the one that seems to be most troublesome is the response that a parent cares only about the child as a piece of property. It is very concerning for all those involved. BUT, this blog is not really about birth parents. I want to challenge foster and adoptive parents to question whether they are exhibiting a similar response and to consider the potential consequences. Foster and adoptive parents can be just as possessive. As with birth parents, their reasons are often valid, BUT the results can be equally harmful. Adoptive parents have often fought so hard to help the children in their home. They may have been directly involved with birth family members during the foster care or adoption process, and it may not have been a pleasant experience. There is often a tendency for foster and adoptive parents to say the child is theirs and theirs alone once the birth parents’ rights have been terminated or adoption has been finalized. As a result, they often do not acknowledge that the child had beginnings apart from them. They may not acknowledge the child’s loss or the loss of the birth family (immediate and extended). They may cut others who love the child (or who would like to know and love the child) out from the child’s life. keeping them from developing or maintaining healthy relationships with birth family members. The reality is that research and story after story tell us that openness in adoption is the best for all involved. There are different levels, which is necessitated by each situation and by what is beneficial for everyone involved. 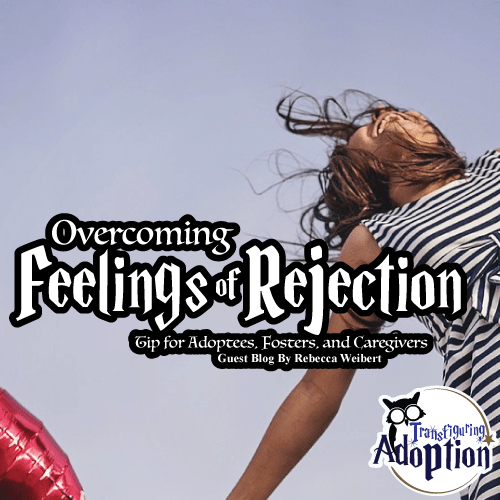 It is not always comfortable, and sometimes there has to be a time of healing and little contact after termination of parental rights or adoption finalization for everyone to heal, process, and gain perspective. I did a little surfing around and found that this quote was made by birth mother and adoption advocate, Desha Wood. 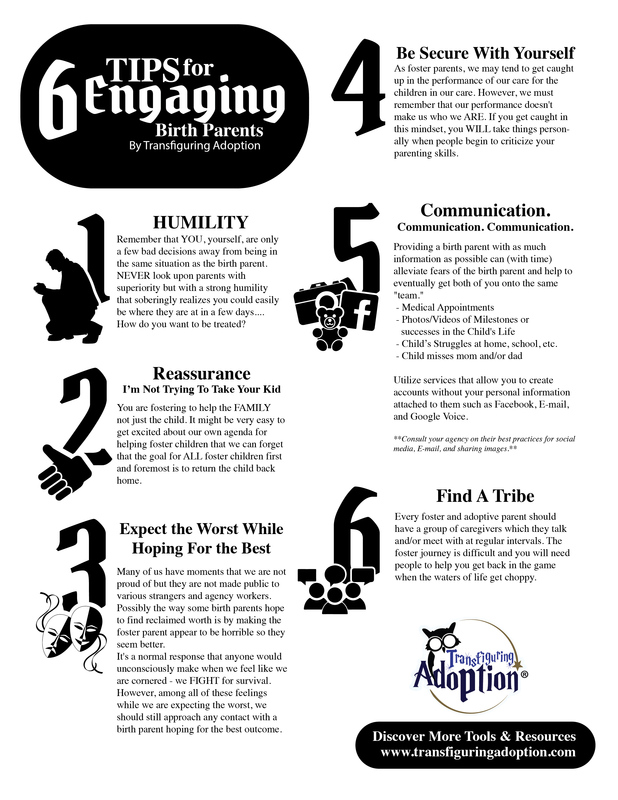 When we can acknowledge that a child belongs fully (in different ways) to their birth and adoptive families, we can develop relationships that only serve to make our children happier and healthier. On one of our recent Monday Caregiver Check-Ins, Allison Douglas (foster/adoptive parent of 4 children and professional at Harmony Family Center, Knoxville, TN) shared about a birthday party they recently had for one of their children. There were several birth and adoptive family members there celebrating the child. 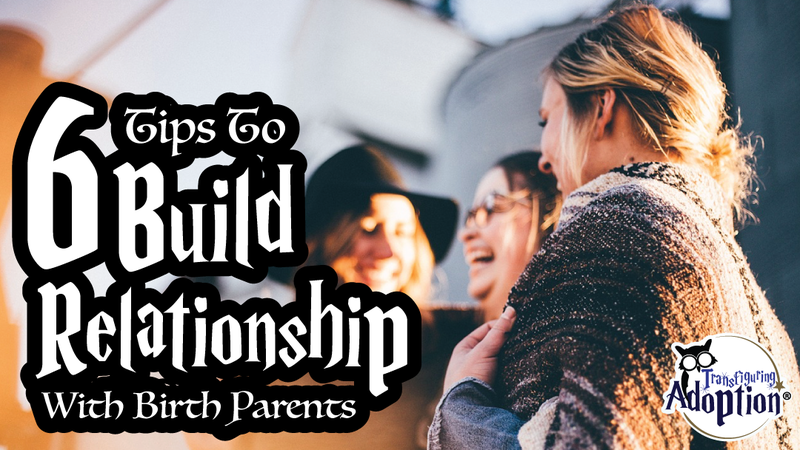 She shared how natural it was for her child to introduce all these people to friends and introducing both his moms as “Mom” and all other family members simply by relationship, and not necessarily differentiating between birth or adoptive relationships. I loved a similar moment at a party where one of my kids had one arm around me and one around their first mom and leaned over to kiss each of our cheeks and say, “I love you, Mom” to each of us. My kids belong as much to their birth families as they do to our families. On the other hand, I have seen enormous hurt when an adoptive family claims a child as theirs and theirs alone and needlessly cuts out siblings, or birth parents, or other extended family members. Adoptees and foster children are done a great injustice when the foster or adoptive family acts as if the child’s life began with them and leaves out any part of their personal history before placement. I was adopted when I was about 8 weeks old. I was in foster care for those first weeks of my life. Suffice it to say; I don’t remember much of that time. I’ve always been thankful to the family – though I don’t know who they are – who were willing to take me as a newborn and care for me like I was their own, knowing they were going to let me go to a different family for the rest of my life. They did the ultimate selfless act, in my opinion. My understanding of foster care from the start was one where I knew foster families do not do what they do for recognition; they do it because they truly care for others, no questions asked, no terms or conditions. The family I went to – my family – is the luckiest thing that has ever happened to me. I am truly blessed. I have one older sister, who is biologically theirs. My initial memories and experiences in life taught me that I was wanted. I know how fortunate I am to have that. I know how much of a privilege that is; how much of an advantage it gave me. I am thankful every day for it, knowing not all are that lucky. The feeling of rejection only slowly and subtly crept its way into my life. Unfortunately, I think this feeling finds its place in every foster kid or adoptees life, no matter how lucky you are. The first memory I have that caused me to question my worth was when I was in first or second grade. We were doing an activity in class about genetics, and we were each handed a sheet of paper that had a list of physical features on it, and check boxes next to them. We were instructed to check off which features we thought we got from our mother or father – eye color, hair, nose, etc. I couldn’t participate. I didn’t know the answers to any of those questions. I didn’t look like my family, not at all. So I started to wonder, why did my biological family, more specifically my mother, give away something that was so definitively hers? Someone who may have had the same eyes, hair and nose? And why did she not want to find out what I looked like? Was she somewhere wondering the same questions I was now wondering, or did she not care? Was I not worthy of her love? The only conclusion I could come to at that age was that she must not care, otherwise she would have kept me. Thus, the knowledge of rejection stepped into my life. My parents were always supportive of me trying to find my biological family. We had a limited amount of information in my adoption file that might help us find them, and I always had access to that information. I remember sending letters to the address that we had for my biological grandmother, little things like that. Nothing ever led anywhere, but I still knew I had my parents support there. After I turned eighteen, I started trying to look for myself. I called the hospital where I was born, I did name searches on the Internet, and I still didn’t get anywhere. When I was 22, I searched for my biological grandmother’s name on Facebook. There was one search result. I couldn’t believe it. I knew my biological mother’s first name, so I looked at the friend’s list of the woman I thought to be my grandmother, and there she was. I saw her picture and I knew. This woman had my face, my hair. This was the answer I had spent my life looking for. I was able to find a current address for my grandmother, and I wrote her explaining everything and giving all of my information in the case that she or my mother wanted contact. Within a few days, I received a phone call from my grandmother, and a following phone call from my birth mother. I still couldn’t believe it. Five minutes on Facebook and I had found it all. Our relationship started off really well. Everyone wanted contact, everyone was excited we had found each other, everyone was happy. I met my birth mother a few months later, and my two half-sisters not long after that. We all had dinner together, including my parents and my sister. It was a whirlwind. The thing about whirlwinds, though, is that they always wind down. After some further attempts to spend more time together, something started to feel off. The effort I was putting out wasn’t being reciprocated, and our contact slowly started to taper off. This took course over a few years. At some point, I made the decision to stop putting in the effort to maintain the relationships. I didn’t feel like it was fair to myself to try and try, when I wasn’t getting anything in return. Rejection didn’t creep in, this time it barged in. I started asking myself, what is it about me that they don’t want? I could no longer answer that with the fact that they didn’t know me. They did know me, and they claimed to want to know me, yet there was no follow through. What did I do wrong? I wasn’t comfortable enough with them to outright ask this, so I didn’t. Recently, I made the decision to end all contact with them, even if they initiate it. It wasn’t healthy for me anymore. I am working on making peace with it, and I believe I’ll get there. But that doesn’t make it any easier. Rejection is awful and hard and I don’t think anyone is ever prepared for it. It’s also this big part of life for adoptees and foster kids, and their caretakers also. We all have to figure out a way to deal with it, to work through it, to overcome it. What To Do When There Is No Interest In Contact? So what do you do when you realize that your biological family isn’t as interested in being in contact with you as you are with them? As the adoptee, I turn those feelings of confusion and anger and hurt around and I throw myself into loving the people who actively choose to be in my life. It takes time, but you come to realize that family is not always linked to you through genetics, family doesn’t always look like you, but family is made up of a group of people who love and support you, who believe in you, especially when you aren’t doing so well with believing in yourself. Self worth can be a hard thing to accrue, especially when the cards seem to be stacked against you, but the people in your life who are kind to you place a lot of it within you. There are still times when the rejection hits me out of nowhere, and sometimes that pain can transfer onto the people who are trying to love me. I have done my fair share of pushing people away because I’m afraid of more rejection, and I think that’s something I will always have to work on. I also work through all of this with a therapist. Sometimes I can’t find the answers I need within my family, so having a professional there to help me has always been a great asset. As for the caretakers, I’ll speak from my knowledge of what my caretakers have done for me, and what I try to do for my niece, who was a fostered and adopted by my sister. You will never be able to explain away the actions of your kid’s biological family. It may feel like that’s your job, but from my experience, it’s not what we as fosters or adoptees even need. We need to know that we are loved and valued, especially when we’re angry about the actions of our biological family. You’ll do your best at showing us this, but we won’t always be able to show you that it makes an impact on us. I’m telling you that it does, especially when we try to push it away. I remember pushing my mom away when I was younger because I thought she would at some point reject or abandon me as I felt my birth mother had done. It took me a long time to have a healthy relationship with my adoptive mom, one where I wasn’t afraid of her rejection or abandonment. Her steadfast acceptance of me and her unconditional love were always there for me, and I am able to look back at the times in my life where I tried my best to push it all away and know that it never wavered. That’s what we need, so know that when you give these things to us that they are making a huge impact on us and we will always have those memories and feelings to look back on. You as caretakers are doing exactly the right thing – taking care of us, in the now and for our future. You may not be able to explain why our biological families cause us pain, but you are teaching us what it is to be loved, and that is the most important thing in life for every one of us.